The Amtrak Vermonter derailed Monday morning after hitting rocks that had slid onto the tracks in Northfield, injuring seven people, officials said. One of those injured was airlifted to Dartmouth-Hitchcock Medical Center in Lebanon, N.H., and the others were taken via ambulance to Central Vermont Medical Center in Berlin. Officials did not release their conditions. The train had 98 passengers and four crew aboard when it derailed around 10:30 a.m. as it traveled south near Route 12A and Bull Run Road near Roxbury, WCAX reported. The rockslide apparently had occurred overnight, officials said; a freight train had passed through late last night without incident. "It's not an issue of a conductor driving too quickly," Gov. Peter Shumlin said. "It was an act of nature beyond the control of anyone conducting the train or … maintaining the tracks." “We’re very lucky there was no loss of life," Shumlin said during a press conference at Norwich University in nearby Northfield. Passengers were taken in buses to the university and were offered motel rooms, Shumlin said. Train 55, which travels from St. Albans to Washington, D.C., had made a scheduled stop in Montpelier and was headed to its next stop in Randolph. 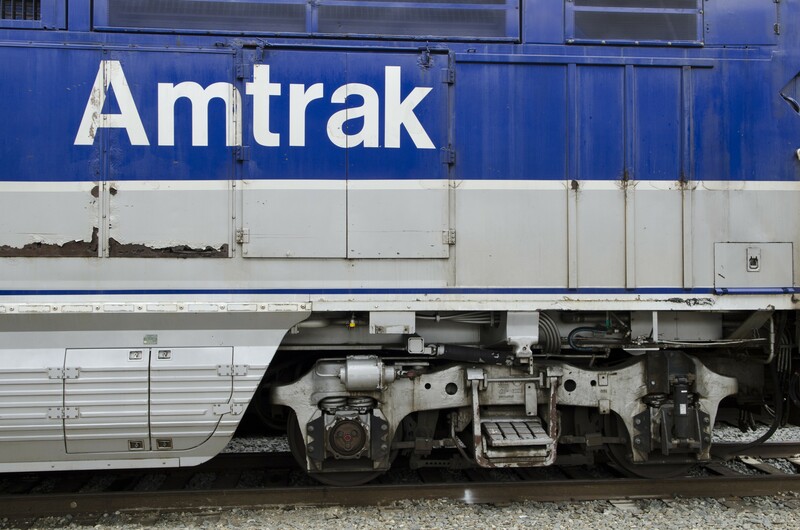 Amtrak passengers with tickets for the Vermonter will be bused to board an Amtrak train in Springfield, Mass., until repair work can be completed on the track, Shumlin said. Officials did not provide a timeline for repairs. Some diesel fuel from the train spilled into a nearby brook, Shumlin said. "We've got a mess down there and it's going to take us some time to clean it up," Shumlin said. The incident stirred memories of a 1984 Amtrak derailment in Williston that killed five people and injured 150.